As a player collector, I always have thoughts about expanding my spectrum. Just as set collectors find new sets they want to tackle, I have certain players that infiltrate my head. I’m not such a hometown only guy that I can’t like or admire admire ballplayers from every organization’s history. Just look at my previous basketball collecting experience. I had over 100 active player collections going (with a handful of main focuses). I can’t maintain that anymore. I don’t plan to add more players, and certainly not 30 more. At least not until A) I make more money and B) I move to a bigger place to house such things. If/when those two variables fall into place, it’s fair game. Who knows, maybe down the line one or two of these choices will make their way into my binders. For now, we’re talking hypotheticals. If I were to forced to choose one player from each ball club to collect, who would I chose? My post, my rules. I’m picking one player that I associate with a team (whether they spent the majority of their career there or not) that I would strongly consider adding to my official want lists. They may not always be superstars, or the most popular, and honestly they may not always be my favorite player from the team, but that’s what will make this fun, no? I’ve been thinking about this series for a while now, and the milestone reached by my first pick made it easy to pull the trigger on the inaugural post. 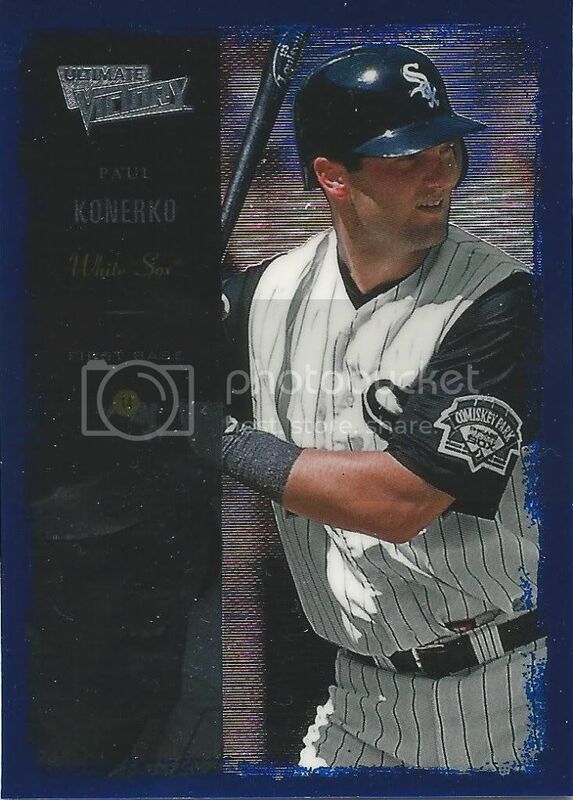 Even before he reached the 400 Home Run plateau recently, my choice would be Paul Konerko. For those that are curious, I can’t choose someone I’m already collecting, which eliminates Frank Thomas. I have to choose someone that I’m not actively pursuing for this scenario to work. 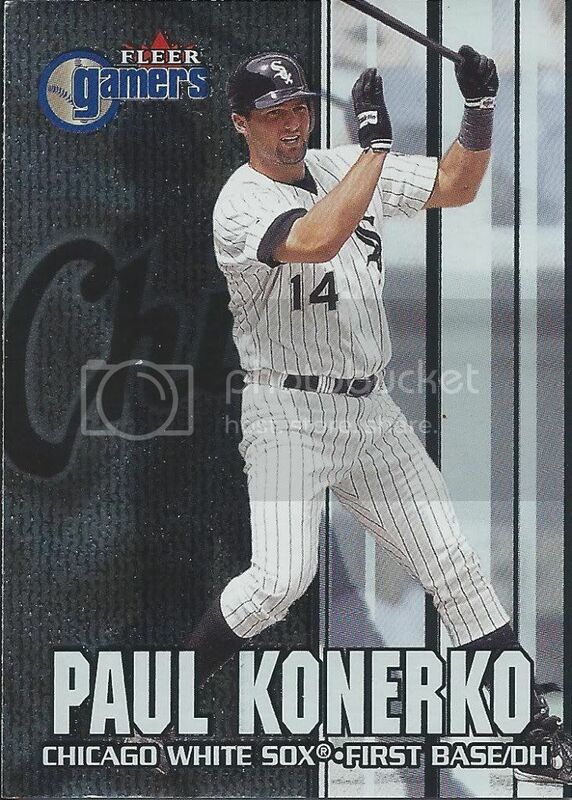 How under-appreciated is Konerko? The guy puts up consistent numbers year after year. He played for World Series Championship team and led them into the playoffs a few times. Yet, there’s no hobby love for Konerko. Or for most of the White Sox in general. Maybe part of the problem is he’s stepping into the shadow of Frank Thomas and people can’t look past that. All I know is that if Paul is able to last long enough to reach 500 Home Runs, he’ll overtake Thome as the quietest to do so. Give the guy some fanfare, will ya? 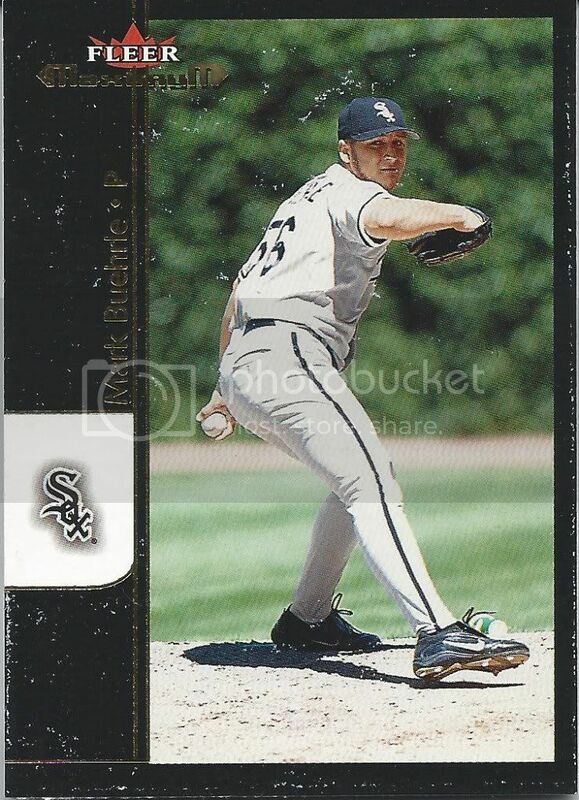 Current player runner-up: Mark Buehrle. This is a no-brainer for me. Not only does he have a perfect game and a no-hitter to his name (and I personally don’t think he’s done in that department. Expect 3 or 4 by the time he’s done), but he’s doing it all while flying way under the radar, hobby-wise. To top it off, he also has the gold glove award, as evidenced by the play of the year from opening day. That moment was turned into a pretty good Comcast Sportsnet commercial set in a grocery store, but I couldn’t find a video of it online. And again, this is what team I associate with the player, not what team they’re currently with. I was born in the 80s, so it’s only natural that I think of the original Pudge in black and white, or blue and red if you’re referencing the photo above. Sure he may have an iconic moment from his days in Boston, but I wasn’t alive for that. When I found cards in my packs of Fisk, they were Chicago cards, so that’s where my mind goes. As for Fisk himself, what’s not to like about The Commander? He was a badass who didn’t back down, metaphorically or behind the plate, and he could back-up any trash talk on the field. That embodies the 1980s-90s White Sox mission statement, really. Or at least my memory of it. Good choice a nice underrated player. I know Jeff at My Sports Obsession is a big-time Konerko collector, so he might have some dupes to get you started. 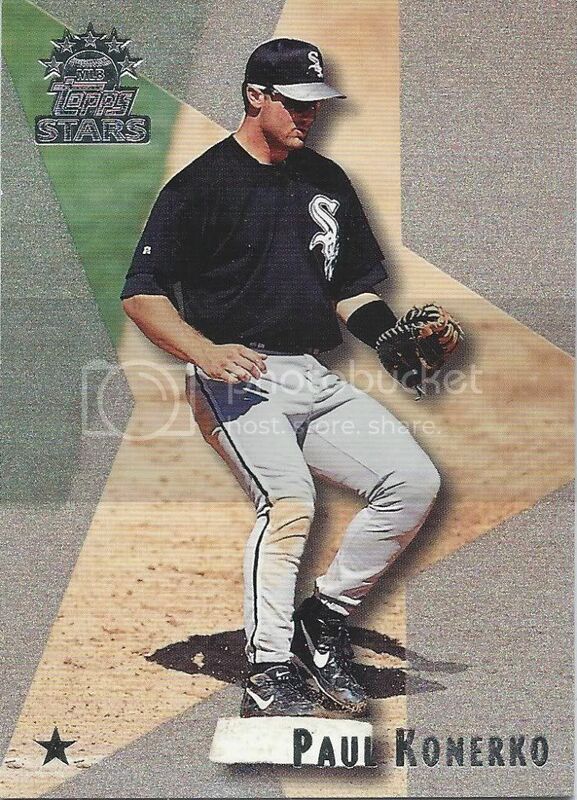 yup – and a few of us have konerko’s dupes sitting around cuz jeff already has those. glad ot find someone else i can share my konerkos to. Why you gotta tell everybody about Konerko? Now everybody’s going to want him. I agree with all 3 of your picks. They are all favorites. Even with Buehrle going to Miami, you can’t help but like him. And I always think of Fisk as a White Sox as well, but that’s because I’m a White Sox fan. I like this idea for a series on your blog, wish I had thought of it. I’m like you, I enjoy other players as well. I look forward to your next post in it. I don’t think you have to worry about a run on Konerko cards. Your secret weapon is safe with me (even after publicizing it on this 2nd or 3rd tier blog). 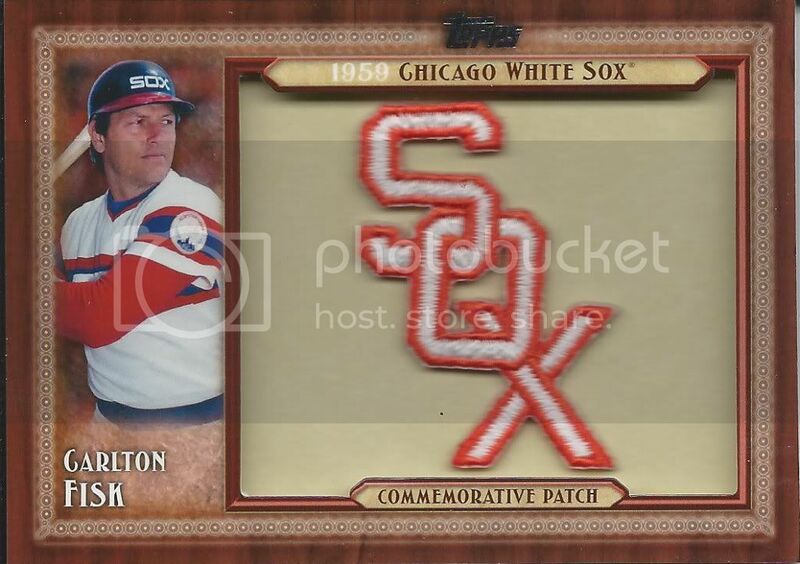 The Only Time I Root For The White Sox « Community Gum | A Sports Card Blog. With Jokes. If I Were To Collect: Milwaukee Brewers Edition « Community Gum | A Sports Card Blog. With Jokes. Group Break Trading « Community Gum | A Sports Card Blog. With Jokes.